At any rate most of this stuff is about a neighbourhood that the FRWY is in and working with. 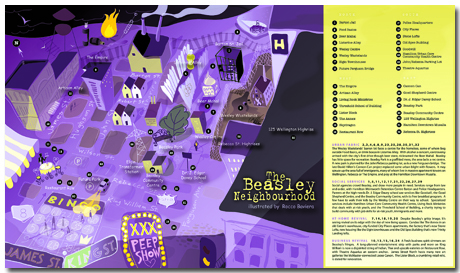 In fact, nod to Pernell and CML for the link and I was also able to find this map of Beasley through the CML blog. I'm putting a low res image of the map up here - but go check out the full resolution one courtesy of the spectator here.